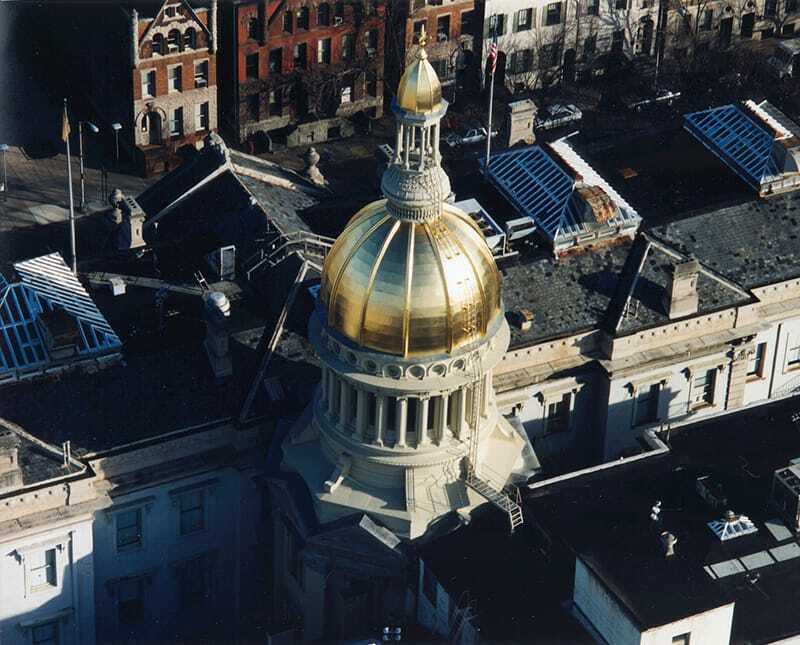 Gilbane was chosen to provide construction management services on the renovation and restoration on the historic New Jersey State House dome – towering over 160’ tall. New Jersey’s State House, the second oldest State House in continuous use, contains portions of the original from 1792. The dome, which expands 160’ from the floor to the apex, is one of the loftiest in the county. 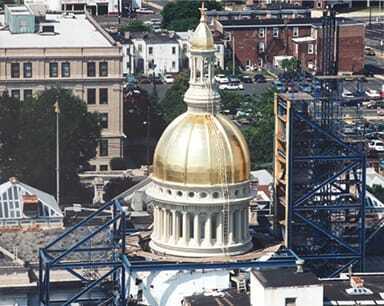 After years of damage and neglect, the State of New Jersey launched a public-private campaign to repair the dome in 1995. Gilbane was chosen to provide construction management services on the renovation and restoration of the historic dome which consisted of 200,000 pounds of cast iron and 5,640 pounds of copper. Gilbane’s responsibilities included managing the complex scaffolding systems, solving accessibility and addressing the safety of both workers and state employees at the onset of the project. 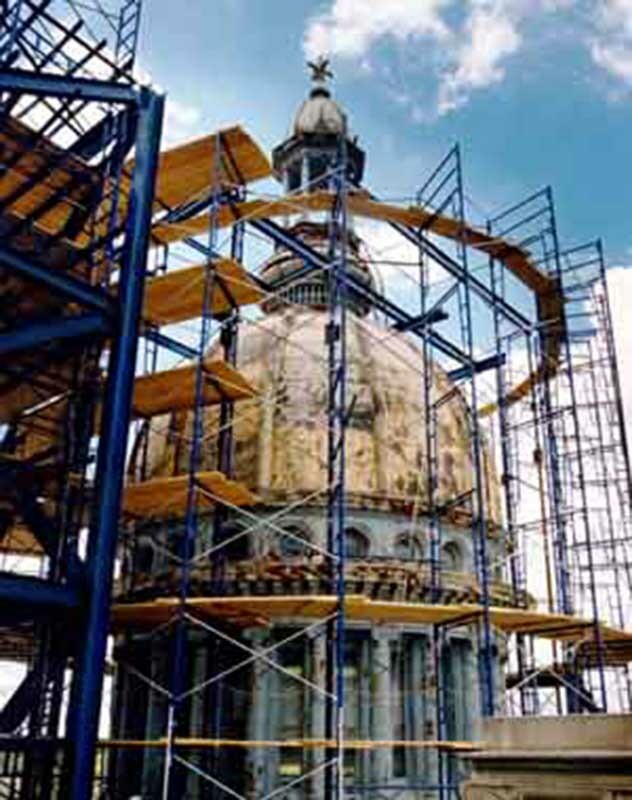 Construction on the dome required one of the more complicated scaffolding structures ever built in the United States. The structure was a design-build project and required foundations and frames strong enough to withstand the maximum wind forces which might be exerted against it, and floors strong enough to withstand the loads placed on them. The dome received new copper roofing. 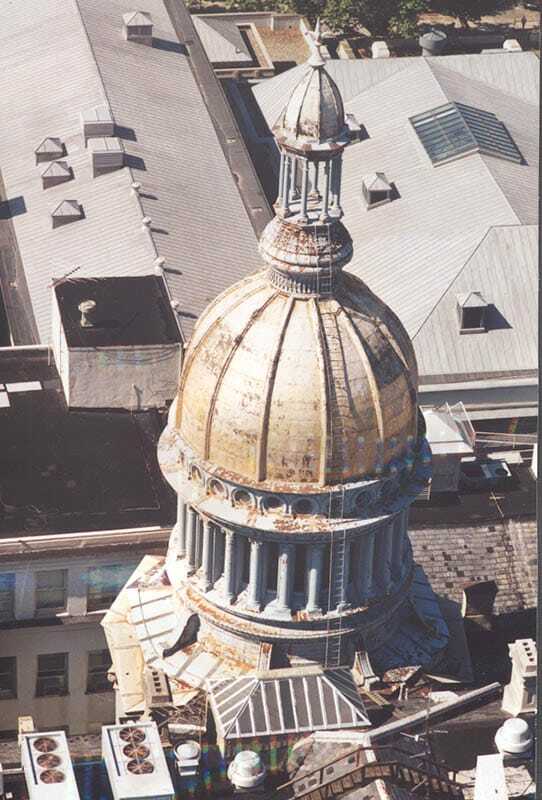 The gilding of the dome is affected by temperature and humidity and was completed off site and hoisted back into place atop the State House. This vital restoration project was completed successfully without schedule impacts and delivered $2.5 million under the $12 million budget.